Thursday Night Ride: A diverse group of longtime Missoulians and newcomers, young professionals and working parents, college students and 68-year-old college professors, have been gathering for years to pedal local trails on long summer Thursday nights. Years back, they used to call it quits for the season when the dark and cold crept too close for comfort. But every year the group grows, the dynamic shifts, and ambitions spread. I showed up on a good year, when ambitions have resulted in four-hour assaults of big mountains, or a sunset ice cream run in mid-October. 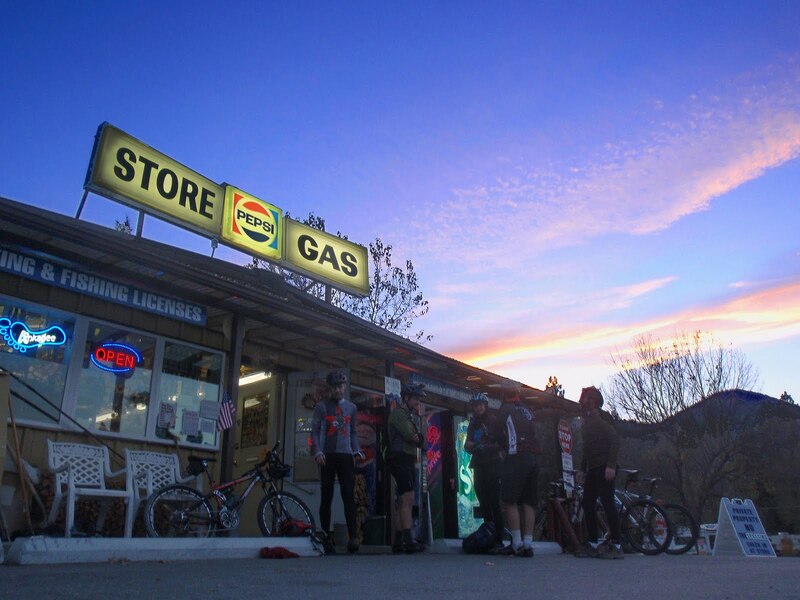 Six mountain bikes rolled into the Turah store just as the last pink light of Thursday slipped below the Sapphire Mountains. We peeled off thick gloves, then peeled off the wrappers of ice cream sandwiches. We stood in the parking lot to watch the light fade, applied the remainder of our layers as the chill set in, switched on our lights, and returned to the canyon. Just a few miles from our destination, Bill wordlessly veered off the main track and shot up a hill. "Where's he going?" a few asked, and the others answered, "Looks like Deer Creek." Why add 12 miles and another 2,000 feet of climbing to an already late and chilly Thursday Night Ride? Why indeed? "Are you going to go?" one in the group asked. "I don't know, you?" another answered. And with that, three of the five remaining in the group chased after Bill's flickering light. Climbing into the night, we turned off our lights for a while to watch the stars, a bright spread cut by treetops and the narrow canyon. I crashed into a log and the lights went back on, but still we climbed higher, reaching for those quiet, shadowy places that once only existed in the confines of eerie dreams. Our lights hit the shining eyes of deer, which startled us all, and we nervously joked about mountain lions and bears, oh my. 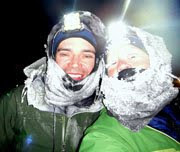 The narrow trail veered downhill and we launched into it wide-eyed, tears streaming in the wind, seeing only the immediate ground five feet in front of us, jerking around corners and barrelling over rocks before we could even react. Night carves a different world, a world where the moon casts dull silver shadows and dark figures hover overhead. It's a beautiful place to ride, completely different from the day, and so easy to miss if you're not out there looking. We emerged from the canyon and wended around the front side of Sentinel Mountain, an open hillside with nothing but gravity between us and Missoula. We tore through the tall dry grass as city lights rushed toward us, smiling uncontrollably because sometimes there really is nothing better in this world than riding a bicycle. Thank you for taking me along for the ride. Did I ever tell you that you have a really wonderful life? As always, I'm living vicariously...(children sleeping soundly in neighboring room). "because sometimes there really is nothing better in this world than riding a bicycle." WoW, what you said, amazes me. Great post Jill. I love night riding in the forest. I need some lights so I can do that!